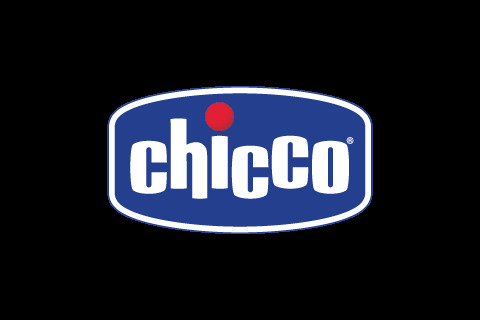 Chicco’s much loved Polly Magic highchair will be given a spellbounding new look in the form of the Polly Magic Relax, the perfect companion to keep mealtimes covered from zero months up to three years. 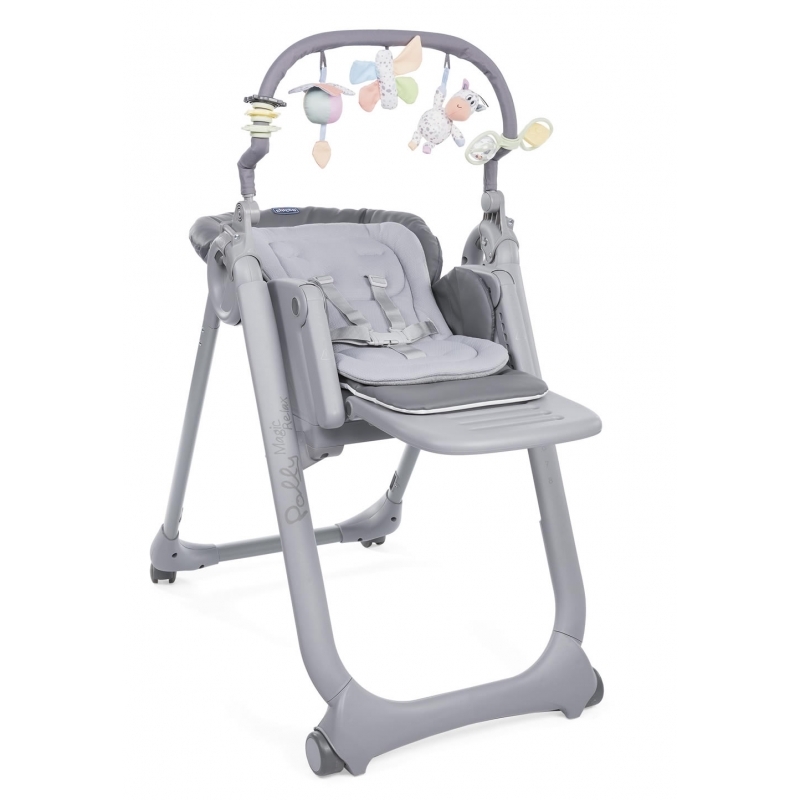 From birth until six months Polly Magic Relax can be used as a comfortable newborn chair thanks to the new super soft reducer cushion that ensures your little one is snug and safe. What’s more, the reducer is reversible with breathable fabric on one side for the summer months, and a thicker cocooning surface for when the weather turns colder. A removable, colourful toy bar is also perfectly positioned to entertain and stimulate baby whilst they play and relax. 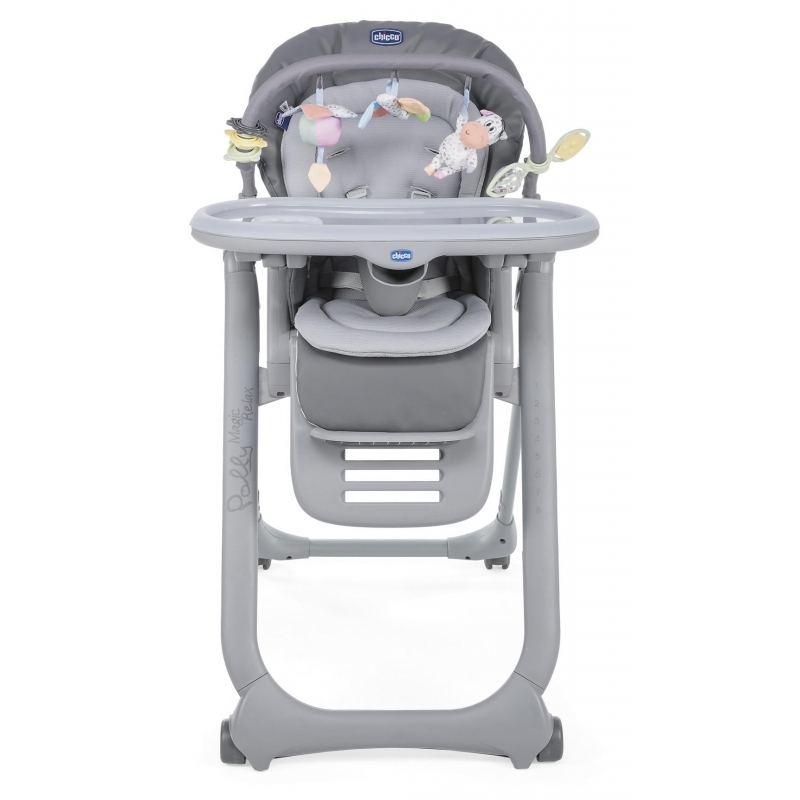 When it comes to weaning at around six months, the Polly Magic Relax offers eight different height levels and three reclining positions meaning you can find the perfect feeding position for you and your baby. As the baby grows, the tray can then be fully removed from the highchair so it becomes a chair, allowing your tiny tot to sit up at the table to enjoy a meal with the family. 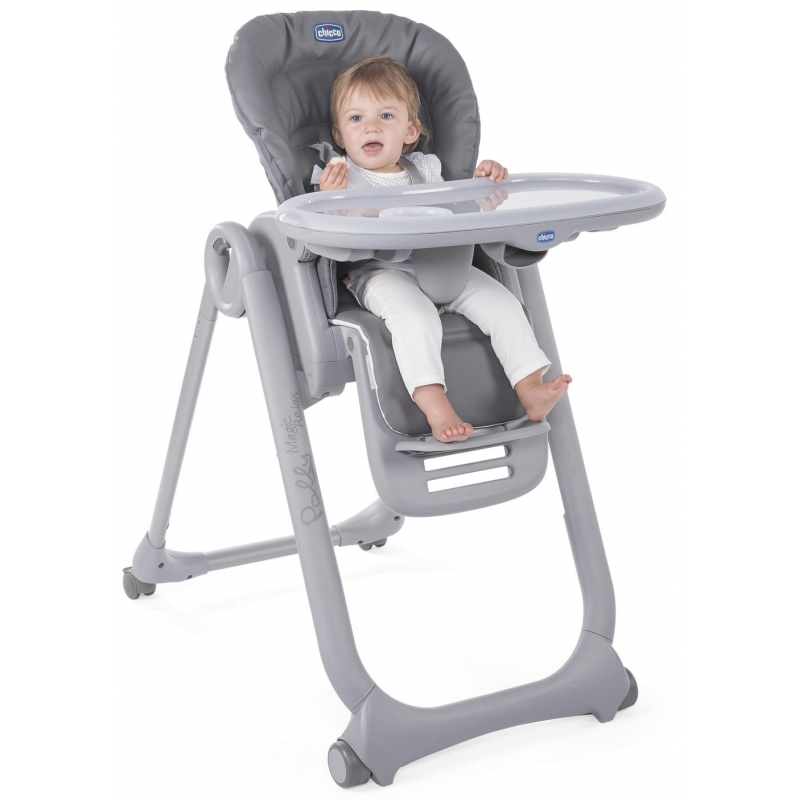 When it comes to storing the highchair it is ultra compact and can be neatly folded with the tray fastening flat to the rear legs. 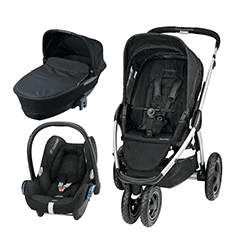 It also boasts four wheels, making it easy to move around and is fitted with a practical storage basket so useful items can be kept close by. Finally, mealtime mess is a problem of the past thanks to the easy wipe surfaces and completely machine washable fabric parts.